When it comes to science and space exploration, you have to get accustomed to a mix of success and failure. If you’re wise you learn from failure and turn adversity around into a future success. Such is the case for the resilient student scientists who learned a hard lesson of life at a young age when the space science experiments they poured their hearts and souls into for the chance of a lifetime to launch research investigations aboard the Antares rocket bound for the International Space Station (ISS) on the Orb-3 mission, incomprehensibly exploded in flames before their eyes on Oct. 28, 2014. Those student researchers from across America are being given a second chance and will have their reconstituted experiments re-flown on the impending SpaceX CRS-5 mission launch, thanks to the tireless efforts of NASA, NanoRacks, CASIS, SpaceX and the Student Spaceflight Experiments Program (SSEP) which runs the program. The SpaceX CRS-5 launch to the ISS on the Falcon 9 rocket planned for this morning, Jan. 6, was scrubbed with a minute to go for technical reasons and has been reset to no earlier than Jan. 9. The experiments are known collectively as the ‘Yankee Clipper’ mission. Antares Orb-3 was destroyed shortly after the exhilarating blastoff from NASA’s Wallops Flight Facility on the Virginia shore. 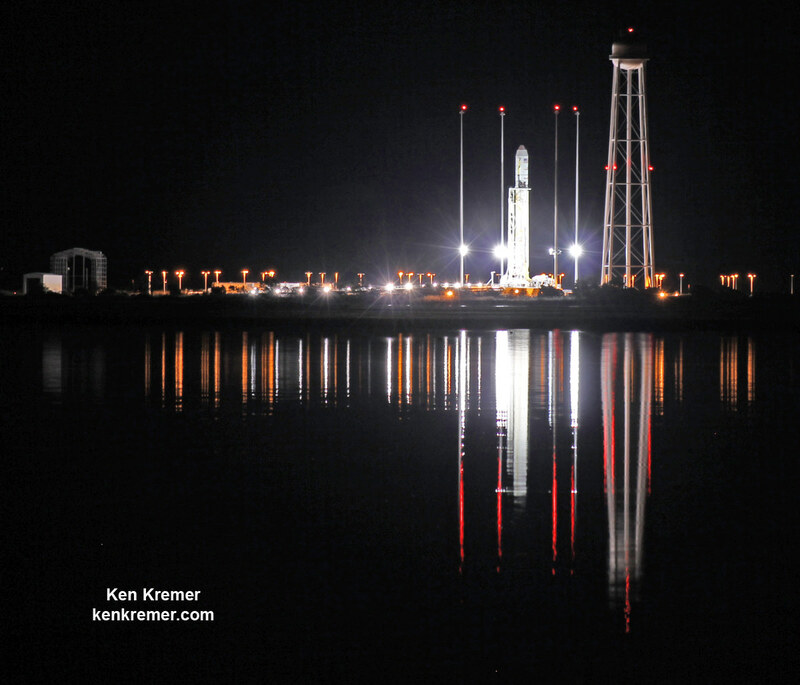 Everything aboard the Orbital Sciences Antares rocket and ‘the SS Deke Slayton’ Cygnus cargo freighter was lost, including all the NASA supplies and research as well as the student investigations. “The student program represents 18 experiments flying as the Yankee Clipper,” said Dr. Jeff Goldstein, in an interview with Universe Today at NASA Wallops prior to the Antares launch. Goldstein is director of the National Center for Earth and Space Science Education, which oversees SSEP in partnership with NanoRacks LLC. Goldstein explains that within days of the launch failure, efforts were in progress to re-fly the experiments. Even the NASA Administrator Charles Bolden lauded the students efforts and perseverance! “I try to teach students, when I speak to them, not to be afraid of failure. An elementary school student once told me, when I asked for a definition of success, that ‘success is taking failure and turning it inside out.’ It is important that we rebound, learn from these events and try again — and that’s a great lesson for students,” said NASA Administrator Bolden. Virtually all of the experiments have been reconstituted to fly on the CRS-5 mission, also known as SpaceX-5. 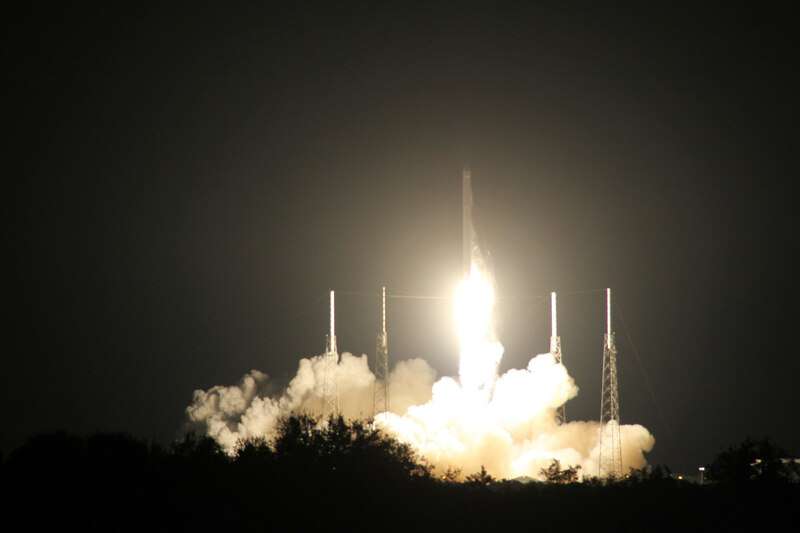 “17 of the 18 student experiments lost on Orb-3 on October 28 are re-flying on SpaceX-5. These experiments comprise the reconstituted Student Spaceflight Experiments Program (SSEP) Yankee Clipper II payload for SSEP Mission 6 to ISS,” noted Goldstein. The wide range of experiments include microgravity investigations on how fluids act and form into crystals in the absence of gravity crystal growth, mosquito larvae development, milk expiration, baby bloodsuckers, development of Chrysanthemum and soybean seeds and Chia plants, effect of yeast cell division and implications for human cancer cells, and an examination of hydroponics. That dark day in October witnessed by the students, Goldstein, myself as a fellow scientist, and others is something we will never forget. We all chose to learn from the failure and move forward to greater accomplishments. Don’t surrender to failure. And don’t give in to the ‘Do Nothing – Can’t Do’ crowd so prevalent today. Video Caption: This up close launch pad camera view is a time lapse sequence of images showing the sudden catastrophic explosion of Orbital Sciences Antares Orb 3 rocket seconds after blastoff and destructive incineration as it plummets into a hellish inferno at NASA’s Wallops Flight Facility, VA, on Oct. 28, 2014, at 6:22 p.m. Credit: Ken Kremer – kenkremer.com/Universe Today/AmericaSpace/Zero-G News. NASA WALLOPS FLIGHT FACILITY, VA – Moments after a seemingly glorious liftoff on Oct. 28, 2014, the Orbital Sciences Corp. commercial Antares rocket suffered a catastrophic failure as one of the Soviet-era first stage engines exploded and cascaded into a spectacular aerial fireball just above the launch pad at NASA’s Wallops Flight Facility on the doomed Orb-3 mission to the International Space Station (ISS). Although I witnessed and photographed the launch failure from the media viewing area on site at NASA Wallops from a distance of about 1.8 miles away, myself and a small group of space journalists working together from Universe Today, AmericaSpace, and Zero-G News had also placed sound activated cameras directly at the launch pad to capture the most spectacular up close views for what we all expected to be a “nominal” launch. Our imagery had been impounded by accident investigators – until being released to us now. Now in part 2 of this exclusive series of video and photos our team can show you the terrible fate suffered by Antares after its destructive descent and frightening incineration as it was consumed by a hellish inferno. My time lapse video above clearly shows the explosion and incendiary descent of Antares into a mammoth fireball. As I reported in Part 1, all of our team’s cameras and image cards were impounded for nearly a month by Orbital’s official and independent Accident Investigation Board (AIB) that was assembled quickly in the aftermath of the Antares launch failure disaster and charged with determining the root cause of the launch failure. The videos and photos captured on our image cards were used as evidence and scrutinized by the investigators searching for clues as to the cause and have only just been returned to us in the past few days. One image clearly shows that the south side engine nozzle of the AJ26 first stage engine was intact and had shut down after the initial explosion and during the plummet. Therefore it was the north side engine that blew up and led to the launch failure. See my up close AJ26 engine photo below. Similar launch pad photos taken by NASA and Orbital Sciences cameras have not been publicly released and may not be released for some time to come. The videos and images collected here are the work of my colleagues Matthew Travis, Elliot Severn, Alex Polimeni, Charles Twine, Jeff Seibert, Mike Barrett, and myself, and show exquisite, heretofore unreleased, views of the explosion, fireball, and wreckage from various positions all around the launch pad. Our remote cameras were placed all around the Antares pad OA at the Mid-Atlantic Regional Spaceport (MARS) on Wallops Island, VA, and somehow miraculously survived the rocket’s destruction as it plunged to the ground very near and just north of the seaside launch pad. A turbopump failure in one of the rocket’s Soviet-era first stage engines has been identified as the most likely cause of the Antares’ destruction according to official statements from David Thompson, Orbital’s Chairman and Chief Executive Officer. The AJ26 engines were originally manufactured some 40 years ago in the then Soviet Union as the NK-33. They were refurbished and “Americanized” by Aerojet Rocketdyne. “While still preliminary and subject to change, current evidence strongly suggests that one of the two AJ26 main engines that powered Antares’ first stage failed about 15 seconds after ignition. At this time, we believe the failure likely originated in, or directly affected, the turbopump machinery of this engine, but I want to stress that more analysis will be required to confirm that this finding is correct,” said Thompson. Antares was carrying Orbital’s privately developed Cygnus pressurized cargo freighter loaded with nearly 5000 pounds (2200 kg) of science experiments, research instruments, crew provisions, spare parts, spacewalk and computer equipment and gear on a critical resupply mission dubbed Orb-3 bound for the International Space Station (ISS). It was the heaviest cargo load yet lofted by a Cygnus. Some 800 pounds additional cargo was loaded on board compared to earlier flights. That was enabled by using the more powerful ATK CASTOR 30XL engine to power the second stage for the first time. The astronauts and cosmonauts depend on a regular supply train from the ISS partners to kept it afloat and productive on a 24/7 basis. Examine the video and photo gallery herein. NASA WALLOPS FLIGHT FACILITY, VA – All was calm, the air was crisp with hope, and the skies were clear as far as the eye could see as the clock ticked down to T MINUS Zero for the Oct. 28, 2014, blastoff of an Orbital Sciences commercial Antares rocket from NASA’s Wallops Flight Facility, VA, on a mission of critical importance bound for the International Space Station and stocked with science and life support supplies for the six humans living and working aboard. Tragically it was not to be – as I reported live from the NASA Wallops press site on that fateful October day. The 133 foot tall rocket’s base exploded violently and unexpectedly just seconds after a beautiful evening liftoff due to the failure of one of the refurbished AJ26 first stage “Americanized” Soviet-era engines built four decades ago. And now for the first time, I can show you precisely what the terrible incendiary view was like through exclusive, up close launch pad photos and videos from myself and a group of space journalists working together from Universe Today, AmericaSpace, and Zero-G news. I was an eyewitness to the awful devastation suffered by the Antares/Cygnus Orb-3 mission from the press viewing site at NASA Wallops located at a distance of about 1.8 miles away from the launch complex. Our remote cameras were placed directly adjacent to the Antares pad OA at the Mid-Atlantic Regional Spaceport (MARS) on Wallops Island, VA, and miraculously survived the rocket’s destruction as it plunged to the ground very near and just north of the seaside launch pad. All of our team’s cameras and image cards were impounded by Orbital’s Accident Investigation Board (AIB) that was assembled quickly in the aftermath of the disaster and charged with determining the root cause of the launch failure. The photos captured on our image cards were used as evidence and scrutinized by the investigators searching for clues as to the cause, and have only just been returned to us in the past two days. Similar NASA and Orbital Sciences photos have not been publicly released. Collected here in Part 1 is a gallery of images from our combined journalist team of Universe Today, AmericaSpace, and Zero-G news. Part 2 will follow shortly and focus on our up close launch pad videos. My lead image shows Antares’ descent into a hellish inferno. And more below clearly show that the south side engine nozzle was intact after the explosion. Thus it was the north side engine that blew up. See my up close AJ26 engine photo below. Images from my colleagues Matthew Travis, Elliot Severn, Alex Polimeni, Charles Twine, and Jeff Seibert also show exquisite views of the explosion, fireball, and wreckage from various positions around the launch pad. Moments after liftoff, the highly anticipated Antares launch suddenly devolved into utter catastrophe and a doomed descent into a hellish inferno of bloodcurdling terror – falling as a flaming incinerating carcass of unspeakable horror that ended in a mammoth deafening explosion as the pitiful wreckage smashed into the ground and blew back upwards as a raging fireball and hurtling debris that was visible across a wide swath of the sky. The awful scene was seen by hordes of expectant spectators for miles around the Wallops area. The disaster’s cause has almost certainly been traced to a turbopump failure in one of the rocket’s Soviet-era first stage engines, according to official statements from David Thompson, Orbital’s Chairman and Chief Executive Officer. Enjoy the photo gallery herein. And watch for Part 2 shortly with exquisite videos, more photos, and personal reflections from our team. NASA WALLOPS FLIGHT FACILITY, VA – Some damage is clearly discernible to the Antares rocket launch pad in the aftermath of the sudden catastrophic explosion that completely consumed the rocket and its NASA contracted cargo just seconds after its liftoff NASA’s Wallops Flight Facility, Va, at 6:22 p.m. EDT on Tuesday, October 28. From a public viewing area about two miles away, I captured some side views of the pad complex and surroundings. 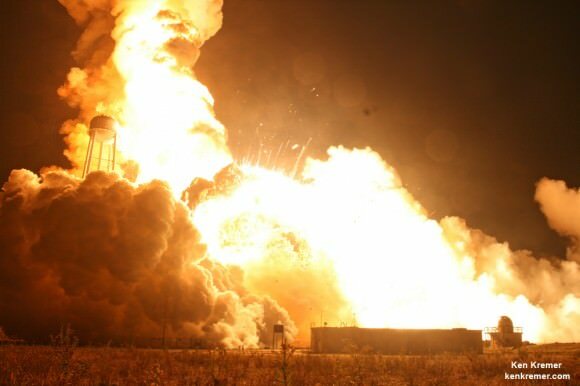 The aborted blastoff of the 14 story Antares rocket ended in a raging inferno that set the sky on fire in raging inferno starting barely 10 seconds after what appeared to be a normal liftoff. Looking at the photos, its immediately apparent that two of the pads four lightning suppression rods have been blown away. Indeed in the photos one can see them being hurled away in the swirling inferno. There is also some noticeable damage to the transporter erector launcher used to move transport and raise the rocket to its vertical launch position. The good news is that the launch ramp leading to the launch ramp leading to the launch mount is still intact. The giant water deluge tower is still standing. Likewise the processing facility where the Antares rocket undergoes final assembly and integration with the Cygnus cargo module appears to have escaped damage, at least on the two sides visible to me. The outer structure of the Horizontal Integration Facility (HIF) appears intact with no significant harm following the launch failure. The HIF is located about 1 mile north of pad 0A. The most severe damage was suffered by the nearby sounding rocket launcher with the entire side facing the pad blown away.